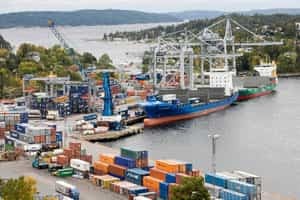 Bangalore: C. Sivasankaran, chairman and founder of the Siva Group, has rebranded the Oslo, Norway-based shipping company he bought in 2008 during the shipping boom and has diversified into new areas as he seeks to consolidate his shipping business. “It’s a logical rebranding," says a top executive at the Dubai unit of Clarkson Plc., the world’s biggest shipbroker based in London. “It should help the shipping company because it is part of a bigger group." The Siva Group, led by India-born entrepreneur Sivasankaran, is a $3 billion conglomerate with interests in telecommunications, realty, project engineering, shipping, commodity trading, energy, farm exports, electronic education and software. In 2010, consolidated revenue of Siva Shipping was $360 million, chief financial officer Deepak Bhandari said. Net profit was about $7.5 million. In comparison, consolidated revenue of the Great Eastern Shipping Co. Ltd, India’s biggest private ocean carrier, was ₹ 2,741 crore in the year ended March 2011. Net profit was ₹ 469 crore. Great Eastern runs a fleet of 35 owned ships, whereas Siva’s fleet of 35 comprise both owned and hired ships. Mercator Ltd, India’s second biggest private shipping firm, reported a consolidated revenue of ₹ 2,829 crore and net profit of ₹ 47 crore in 2010-11. Mercator runs a fleet of 32 ships. Siva Shipping has diversified into the offshore sector by investing in ships that support oil-drilling operations. Siva Offshore has ordered two platform supply vessels (PSVs) of 5,000 tonne each at China’s Mawei Shipbuilding Ltd. It has also purchased two anchor handling tug and supply vessels (AHTS) of 8,000 tonnes each. Besides, Siva Offshore has a 33% share in one of the largest pipe-laying barges operating in Asia named Swiber PJW 3000 that can accommodate 310 personnel and has a 3,000-tonne main crane. Petter Haagaas, Oslo-based business development manager at Siva Offshore, declined to provide details of the firm’s investments in the offshore assets. “Siva Offshore has identified a number of interesting offshore projects and potential JV partners," Henrik Ness, chief operating officer of Siva Shipping, said by phone from Oslo, without elaborating. “It’s a good diversification strategy," says Thomas Korsdalen, managing director of Middle East and India at Oslo-based investment bank Pareto Securities AS. “Demand for traditional shipping is still very strong, but there is still more supply of ships coming into the market than demand," Korsdalen said over the phone from Oslo. “This imbalance in supply and demand won’t disappear in the next few years as a record number of ships ordered during the shipping boom will get delivered. But, oil services business looks much more attractive than traditional shipping business because of the surge in oil prices." Apart from the offshore assets, Siva Shipping runs a fleet of 35 ships including crude oil tankers, product tankers, liquified petroleum gas carriers, chemical carriers and bulk carriers, which came into its fold through the acquisition of JB Ugland. The company’s tanker operations and finances are managed from Singapore through Siva Ships International Pte Ltd (formerly known as JB Ugland Shipping Singapore Pte Ltd). Another unit, Siva Shipping Singapore Pte Ltd, is the parent company for Siva Bulk Ltd (formerly Crossbridge Shipping Singapore Ltd). It also holds the stake held by Siva Group in the Copenhagen-listed product and chemical carrier operator Nordic Tankers AS, along with the offshore asset investments. In May 2010, Sivasankaran bought a 22.75% stake worth about $15 million in Nordic Tankers, becoming its second largest shareholder. Sivasankaran’s 26-year-old son Saravana now sits on the board of Nordic Tankers. Siva Bulk provides services for transporting dry bulk commodities such as coal, iron ore, minerals and grains across Asia Pacific. In 2010, it moved some 7 million tonnes of cargo and was the fourth largest carrier of coal into India. Haagaas said that offshore was one of the focus areas for Siva Shipping. “We regard the offshore industry a growth sector that will yield attractive return on investments," he said. Expansion in this sector could involve investing in high-end offshore assets such as oil drilling rigs. “We don’t have specific plans as yet, but we are open for that," he said in a phone interview from Oslo. “Supply is decreasing and demand is increasing. We need more rigs," Pareto’s Korsdalen said in a presentation at the India Shipping Summit in Mumbai on 11-12 October. “We believe effective supply is less than it appears and that we will need to build 100 jack-up rigs over the next four years only to replace older units. If demand recovers to August 2008 levels, we will need another 50 jack-up rigs." From being an investor in offshore assets, Siva Offshore is now looking at offshore vessel operations also. “We are in discussions with partners for an ideal match to operate our vessels," Haagaas said. The pipe-laying barge has been rented out for 10 years to Swiber Holdings Ltd, a Singapore-listed offshore operator while the AHTS have been given on seven-year lease to Singapore’s Otto Marine Ltd, Haagaas said.